Need help with your jammed car ignition? Has your key fob stopped working? Locked out for your car? Get Locksmith Richmond is here to help! Whether you have lost the keys to your car, your keys broke inside the ignition or the door, or you are locked out and stranded in the middle of nowhere, Get Locksmith Richmond can assist you. We are a professional car locksmith service that specializes in ignition switch keys, key fobs, transponder programming, duplicate key making, jammed locks, and broken key removal services. We work at affordable flat prices with no hidden fees and extra costs. Our transparency, reliability, experience, and skilled staff recommend us as one of the most reliable locksmiths in the city. Our mobile team is available on a 24-hour basis, seven days a week, including weekends and holidays. Give us a call for any lockout emergency or key and lock problem and we will immediately send over a nearby locksmith in your area. We have one of the fastest response times and we will do our absolute best to reach you within 20 minutes from placing a call with our customer support. Get in touch with us today and schedule an appointment or ask for an emergency locksmith to be dispatched at your exact location in a matter of minutes. Accidents happen. Drivers get distracted and keys remain stuck in the ignition, with no immediate solution to get back in. If it happens while away from home, and there is no car dealership nearby, things are prone to get more complicated. The Get Locksmith emergency service works around the clock to ensure we are available when you need us. With an average response time of 20 minutes, we guarantee you will not waste more time than you should. Once one of our mobile technicians arrive, they will assess the situation and decide upon the best lock picking tools to use. Depending on the make and model of the car you are driving, and the state of the lock, they will make the safest choice. Whether you are driving a truck, a minivan, or a late model sports car, we can open your vehicle safely, without causing any damage. Our technicians also specialize in trunk unlock services. When keys get locked in the trunk, a locksmith will need to enter your vehicle and use the trunk release button. If such a button does not exist, they will use the access provided by the back seat. Some older models cars do not have either of the two options; this means our technicians will attempt to access the trunk directly, or cut a new key on the spot and use it to unlock the trunk. The process could last between five minutes to half an hour. Power door locks are excellent additions to cars as they add more convenience and safety for both drivers and passengers. These types of locks enable multiple control methods for doors. Drivers can push a single button on the key fob to lock/unlock all doors at once. Plus, the system can be enabled or disabled with a single touch of a button, usually located near the driver's seat. When a power lock is broken or has stopped working normally, you are advised to contact a reliable car locksmith services and have it fixed. Our licensed staff is fully trained and prepared to handle any faulty lock issue and limit the risk of theft or injury during accidents. Once we ill assess the relay system responsible for enabling the power locks, we will proceed to repair the broken parts or have them replaced with new ones. Feel free to address all of your questions or concerns and decide upon prior to our intervention or during it. We are happy to discuss the repair process with you and advise you with any further car lock services you may require. Getting stuck out of your car at the side of the road is never pleasant. When it happens at 2 in the morning, while coming come after a business trip or a vacation, your levels of stress are likely to go up even higher. Our mobile intervention teams are available to answer your call no matter the time of the day or night with the same respect, consideration, and professionalism. We come prepared with full toolboxes of expert locksmith tools for all makes and models of cars. A car dealer is not the only solution you have when your car keys break in the ignition or they are too w to be working properly. Expert locksmith services like ours can help you replace your keys with the help of advanced tools and software for less money and at faster speeds. No matter how intricate your keys may be, we can replace or duplicate transponder keys and any other type of keys you are using. in order for your car to start, the key must fit into the ignition lock cylinder. 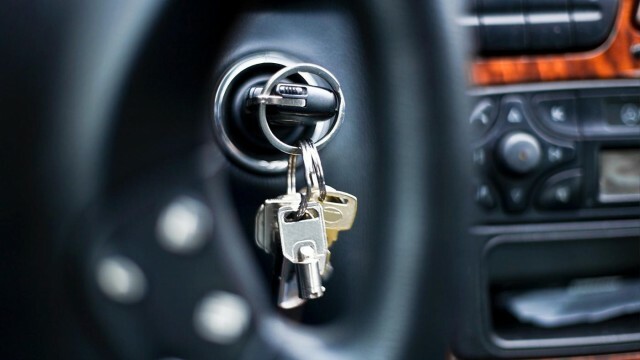 If you are having a difficult time turning the lock with your keys, or you notice some tumblers are shifting inside the cylinder, you are probably dealing with a broken ignition lock. The metal in these parts will eventually wear down over the years, because of repetitive use or the weight of a heavy key chain that can affect the positioning of the tumblers. Get Locksmith technicians should have no problem getting these problems fixed. We are certified and authorized to replace broken ignitions, without damaging your warranty. Give us a call today and let us handle all of your car door lock, key, and ignition needs at affordable rates and fast speeds!